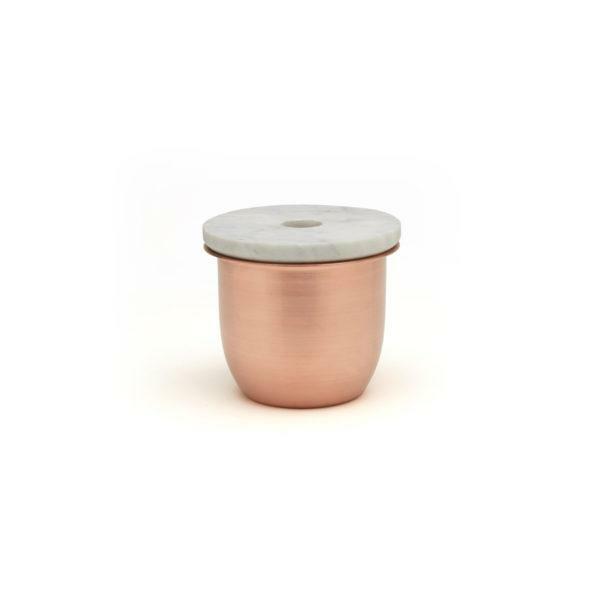 Small Container – Copper with Marble Lid. Shipped Direct from Grace Souky. Lead time – 6-8 weeks. 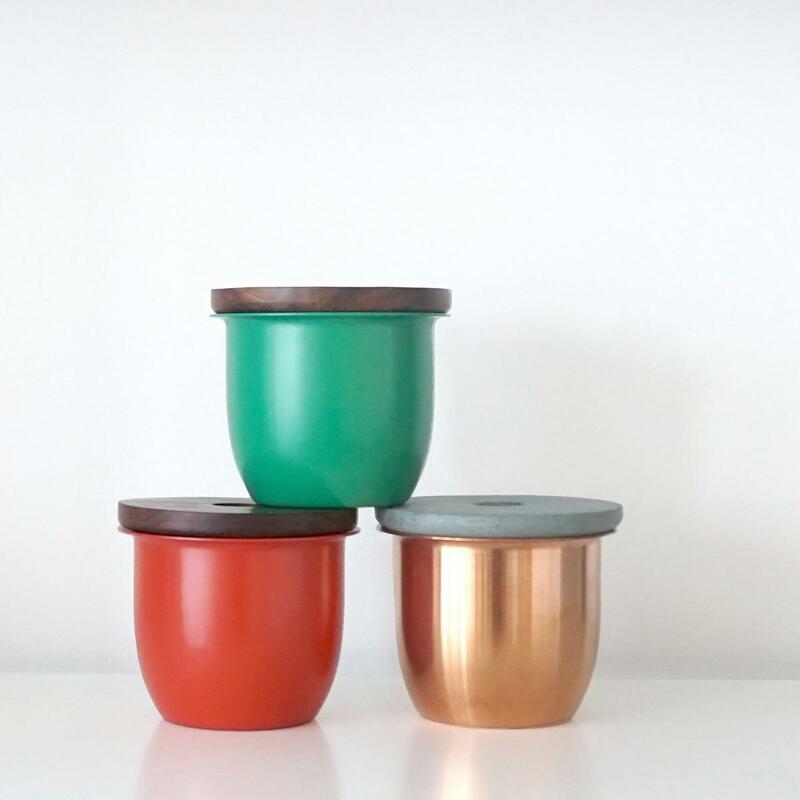 The C3 Small Container is tiny but mighty vessel that is both pretty and useful. The container is spun in copper, brass or powder coated aluminium to suit different uses and looks. 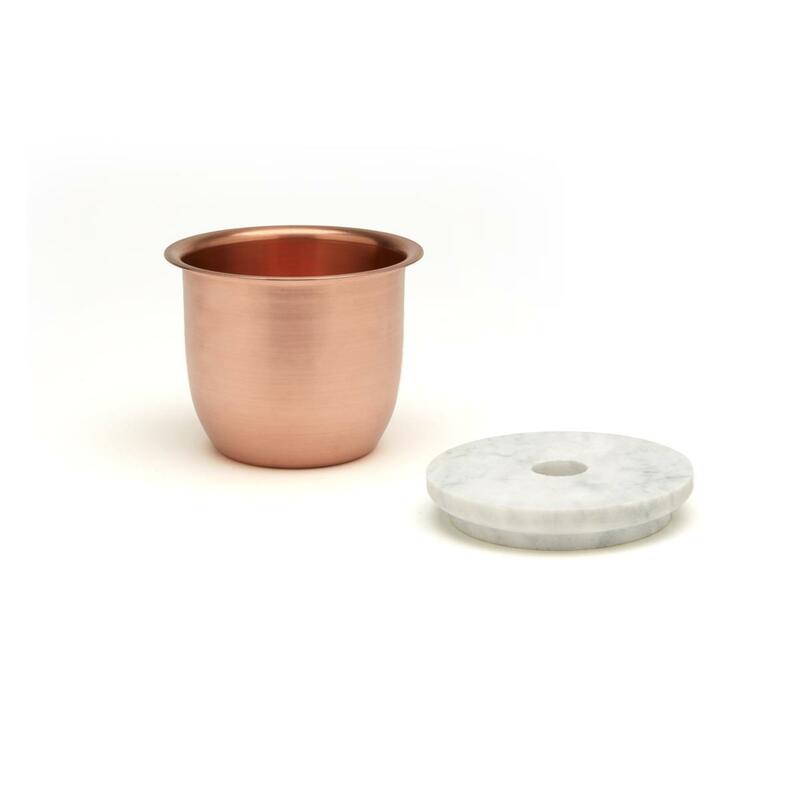 The cup can be used to store things or as a small planter. The lid also makes a great coaster or even a candleholder. All varieties have a non-toxic coating.